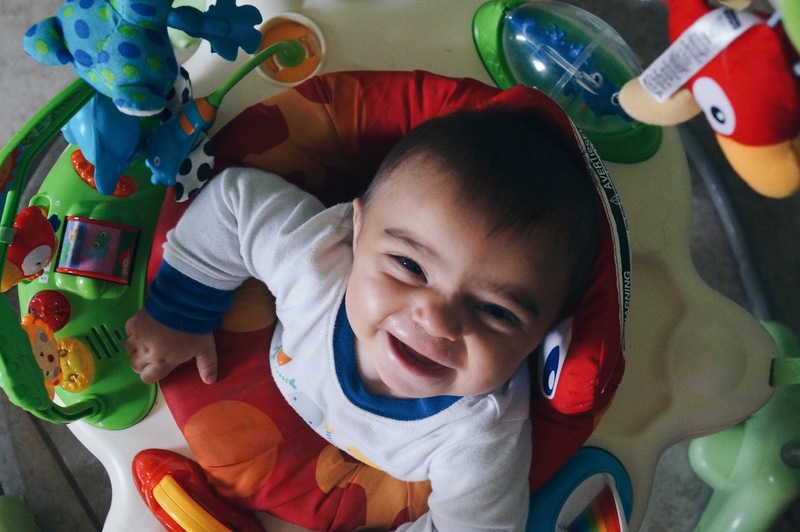 Dominic, aged 7 months: Moving and grooving and all too soon for my tastes. I'm just thankful that he still seems to love his jumper because I wasn't quite prepared to have a crawler/climber just yet and sometimes it's nice to contain him. 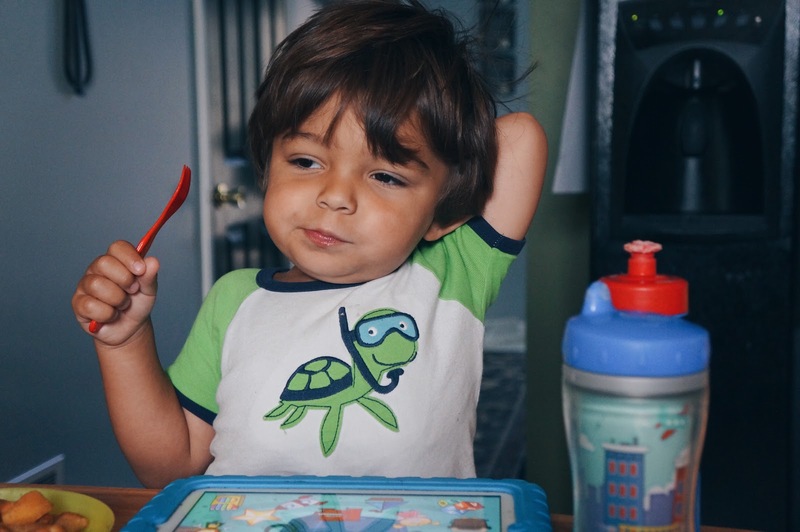 David, aged 3 years: His mornings are things routines are made of. He stumbles down the stairs all bleary-eyed with crazy hair like he's been up all night partying... he climbs his stool with his iPad still blaring his sound machine. He just mumbles: sticks. Milk. Repeatedly, until both are in his possession. And then he proceeds to watch the very same video over and over until his sticks are done. Don't mess with this routine. Don't. Letteria, aged 5 years: Five! On Saturday Matt took her to Home Depot where they do these free kid workshop things and she came home with this chalkboard door hanger. So proud. Working just like her daddy. All by herselss (herself). 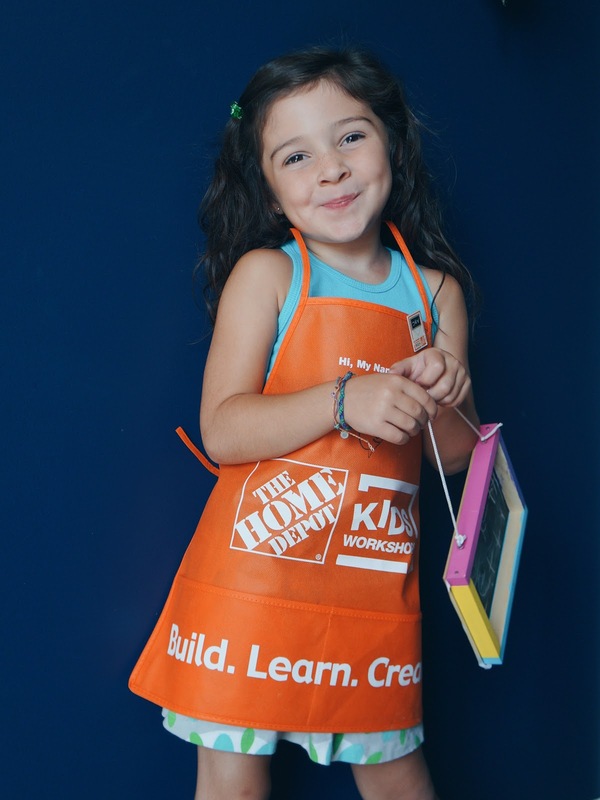 awww those HD workshops always look sooo cute with the kiddies in their aprons!! that's where M met santa for the first... and only... time, too! a surprisingly fun place haha! ps HAPPY BDAY!! That blue background is killer for that picture. Looks all fancy. But David wins the week for me! ha. That kid. What are sticks? French toast sticks?